When the decision was taken to attack the railway station in Jerusalem, Heinrich Reinhold (Yanai) was appointed commander of the operation. On October 29, a day before the assault, Yitzhak Avinoam, Jerusalem district commander, and Amichai Paglin (Gidi), chief operations officer, came to Yanai's apartment in the Rehavia quarter of Jerusalem. There was a curfew in Jerusalem that evening, but Rehavia was one of several quarters outside the curfew area. They wanted to find out why Yanai had not arrived at that evening's scheduled meeting. They went up to the second floor apartment, where the door was opened by the landlady. Avinoam told her that they had come to visit Yanai, and they were surprised to hear that he was not at home. Their first thought was that he had been kidnapped by the Haganah, or possibly arrested by the British. In either event, he was liable to be interrogated and Avinoam decided to take precautionary measures in case Yanai broke down under interrogation and revealed the plan for the raid on the railway station. It was also essential to replace him as commander of the operation. The following day, October 30, Avinoam and Gidi went to the room in the Sukat Shalom quarter from which the fighters set out on missions. At 7 am, they arrived one by one. Among them was Eliyahu Levi (Aviel), one of the senior commanders in Jerusalem, who had been privy to the preparations and knew all the details of the plan. Aviel had been appointed as Yanai's replacement, but it was decided to postpone the operation and to check on the situation in the target area. At 10 am, Salomon, the signals officer, was sent to the station area on a tour of reconnaissance. He set out on his motorbike and returned soon after to announce that he had seen nothing suspicious. An hour later he was sent on an additional tour and, on his return, informed Avinoam again that nothing appeared suspicious. He was sent out later for the third time. On his return, he encountered Aviel, who was seated with his unit, in two taxis, awaiting the signal to depart. "What's going on?" asked Aviel. "Everything's OK" replied Salomon. Salomon had not yet had time to report to Avinoam on his reconnaissance tour. Aviel gave the signal and the force set out in two taxis (which had been requisitioned that morning in Jerusalem). Seated in the first taxi were Yosef Levi (Kushi) and Mas'ud Biton, disguised as Arab porters. In the second vehicle Sima Fleishhaker-Hoizman, dressed elegantly, sat beside Eliyahu Levi (Aviel), also in formal dress. They were posing as a young couple setting out on their honeymoon. With them were three guards, and at the wheel was Meir Feinstein. In the trunk of the car were three suitcases filled with explosives and detonators. When the second taxi reached the railway station, the two "porters" came over to assist their "clients". Sima and Aviel emerged from the taxi, whilst all the Arab porters at the station offered their services. Aviel chose Kushi and Biton (to the annoyance of the real porters), who unloaded the suitcases from the taxi and put them down in the waiting room beside the ticket office. Aviel set the fuse connected to the devices, and Sima went over to the ticket office to buy tickets. No-one seemed suspicious at this point. After purchasing the tickets, Sima took a large cloth sign out of her handbag and placed it on top of the cases. On it, in three languages (Hebrew, English and Arabic), was written: "Danger, mines" and the Irgun symbol. An Arab policeman who was standing nearby went over to Sima, gripped her by the dress and asked: "What's this?" Sima hit him in the face and freed herself. One of the Irgun security men saw what had happened, aimed his sub-machinegun at the policeman and shot him. The fighters ran towards the two taxis waiting at the entrance to the station and jumped in. Suddenly the cars came under fire from all sides. Feinstein, who was in the driver's seat, was severely wounded in the left arm, but managed to drive with one hand. Sima, seated beside him, tore his shirt and bandaged his wounded arm. The heavy fire continued, and in addition to Feinstein, Azulai was hit in the stomach and leg, and Horovitz in the neck. Feinstein continued to drive rapidly and succeeded in shaking off the British armored car. The car halted at the entrance to the Yemin Moshe quarter of Jerusalem, where several Irgun girls were waiting to collect the weapons. Sima accompanied Feinstein to Yemin Moshe, where they found refuge in an apartment belonging to an old couple. Sima laid the wounded man on a bed, untied the temporary bandage and placed a tourniquet on the wounded arm. While she was treating Feinstein, a 14-year-old boy entered the room and told her that the police had arrived in the quarter, and were tracking the blood stains. Sima asked him to camouflage the stains with soil, while she herself went out to see what was happening. She discovered that the police had reached the house where Feinstein was hiding, and feared that they would arrest her as well. She bent over as if to tie her shoelace, thus hiding her dress, which had been torn in the struggle with the Arab policeman. Then she slipped away and fled Yemin Moshe. Azulai, wounded in the stomach and leg, was also taken to a house in Yemin Moshe, where his wounds were bandaged. Shortly afterwards, the entire area was surrounded by police reinforcements and placed under curfew. All the men were asked to come outside and report for an identity parade. The two wounded men were apprehended and taken, under guard, to the government hospital. 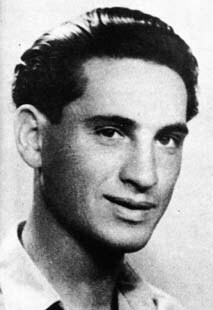 Horovitz and Biton were arrested by Arab Legion soldiers, as they walked towards Jerusalem's commercial center and were handed over to the British police. At 2 pm. large numbers of policemen reached the railway station. When the police sapper tried to lift one of the suitcases, there was an explosion which destroyed the interior of the building and killed him. Information flooded in, all of it connected to Yanai. The police had raided several rooms in Jerusalem, all known to Yanai. The vehicle used by the district command, which had been kept in a parking lot near the Strauss clinic (a fact known to Yanai), was seized by the British. In Tel Aviv and Haifa, the police arrested several commanders, who were hiding in safe houses, whose location was also known to Yanai. Yanai's treachery stunned and angered the Irgun. It was the first (and only) time that a senior commander had abandoned his men before they set out on a combat mission, and the question as to why he acted as he did remained unanswered for many years. A British Intelligence document released for publication thirty years after the operation (Haganah archives 31/74) revealed that Yanai was arrested by the British Intelligence, broke down during interrogation, and in order to save his life, decided to collaborate with the British. He told them everything he knew about the Irgun, including the planned assault on the Jerusalem railway station, and was immediately flown to Belgium by the British.